We Appreciate Your Support at Pinewoods! This is a very exciting time at Pinewoods Montessori School. In the past year we renovated and opened programs in our new space, now occupying the entire 109 Millstone building. We earned our North Carolina AdvancED accreditation which certifies that our preschool and elementary programs are high quality, rigorous, and authentic. 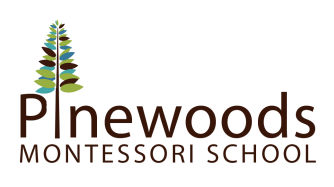 Our full-day toddler and primary programs are full and the option for full-day Montessori preschool has brought many new families to Pinewoods. Over the summer we renovated our new lower elementary space, our existing upper elementary space, added a kitchen for practical life education, administrative areas, library, and a multi-purpose space to enable indoor recess. This fall, we have been at work adding a Tinkergarten space to our playground. Currently, we are drafting a floor plan for Phase 2 of our expansion plan, which would allow us to open a second toddler classroom and relocate the primary and toddler classrooms closer to the playground. We also are working to develop a strategic plan for the next five years that will encompass our overarching goals and outline our dedication to continuous improvement. With hopes of continuous improvement, growth and expansion, and providing our students with the best environment possible in which to thrive, we reach out to our community to ask for help in supporting the school in the hope that you will consider giving back what you are able. We hope that you will consider a donation to Pinewoods Montessori as part of your giving this season, so that we can accomplish all we hope to in the coming years to better our school. Pinewoods is a 501(c)3 non-profit organization, so all gifts are tax deductible. There are easy ways to support Pinewoods -- and not even realize you're doing it! AmazonSmile is a simple and automatic way for you to support Pinewoods every time you shop, at no cost to you. When you shop at smile.amazon.com, you’ll find the exact same low prices, vast selection and convenient shopping experience as Amazon.com, with the added bonus that Amazon will donate a portion of the purchase price to Pinewoods! Pinewoods participates in Harris Teeter's Together In Education Program, (TIE) a fund raising program for schools. If you are new to the program or just need a refresher, your VIC card must be linked to Pinewoods, and that must be done each year. There are several ways to link or relink your VIC card -- at the register, the Customer Service desk, at harristeeter.com or call 1.800.432.6111. Pinewoods TIE # is 3458. We are registered with the School Scrip Program through Weaver Street Market. Purchase of a School Scrip Card allows you to donate 5% of your purchase directly to Pinewoods. The school's pre-assigned scrip number is 236. Use your scrip card each time you shop at Weaver Street Market(s) or at Panzanella Restaurant. At checkout ask the cashier to assign 236 to your scrip card purchase. Refill your scrip card as often as needed. Donations to the school are received on a quarterly basis. We also participate in BoxTops for Education program. Earn cash for Pinewoods by clipping Box Tops. Look for Box Tops on hundreds of products -- each is worth ten cents for the school. Earn up to 15eBoxTops for every $10 you spend when you shop on line at favorite retailers. Turn in Box Tops now. Log on to their website boxtops4education.com for information carrying the "box top".